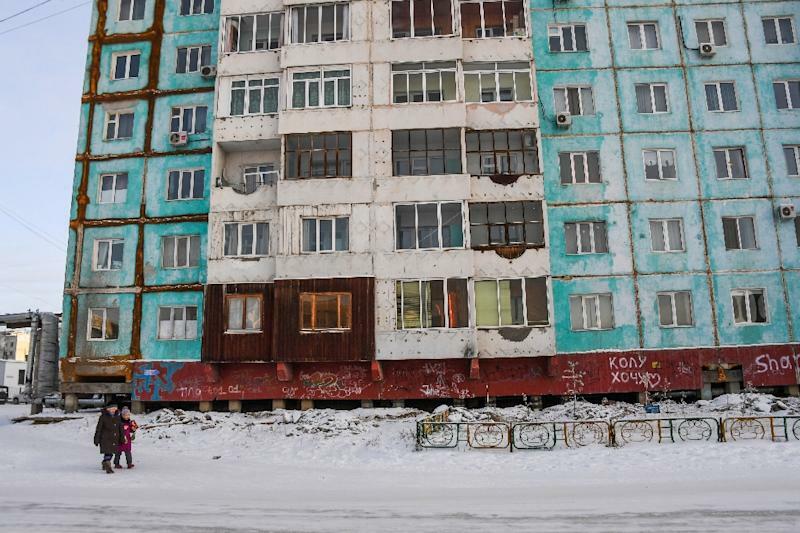 Yakutsk (Russia) (AFP) - Eduard Romanov points to a spot on a block of flats where a major supporting beam has sagged and begun to crack, destabilising the nine storeys of apartments above. In Russia's Siberian city of Yakutsk, one of the coldest on Earth, climate change is causing dangerous melting of the frozen ground, or permafrost, on which the buildings stand. "Since the year before last, the building has started to list and has tilted about 40 centimetres (16 inches)," says Romanov, a construction worker and environmental activist. "There is a danger that it will tilt even more," he says, as labourers perform emergency welding on the structure, the temperature around minus 35 degrees Celsius (minus 31 Fahrenheit). Average temperatures in Yakutsk have risen by 2.5 degrees Celsius over the past decade, say scientists at the Melnikov Permafrost Institute located here, the world's only such research centre. Most Soviet-era apartment blocks in Yakutsk are made of concrete panels and stand on stilts to ventilate the building's underside and prevent it heating the permafrost, a layer of soil cemented together with water that is only stable as long as it stays frozen. Rising summer temperatures can destroy the solid permafrost. As the ice melts, the clay or sand simply sinks together with whatever is on top of it -- a road, a building, a lake or a layer of fertile "black earth" for agriculture. Permafrost covers almost the whole of Yakutia -- a northeast Siberian region bordering the Arctic Ocean, an area five times the size of France. 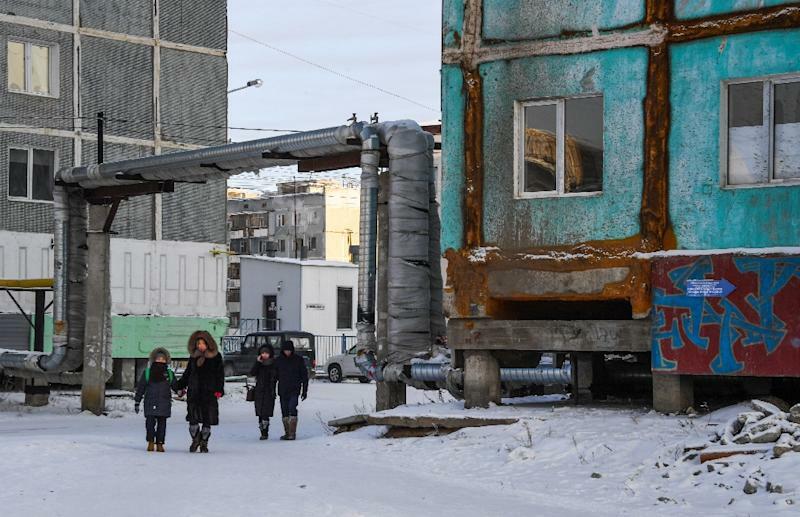 With a population of about 300,000 Yakutsk is the world's largest city built on permafrost, and it could be especially in danger from the melting that Romanov and many residents fear. "All of Yakutsk is in danger. The owners face losing their property, and nobody is ready for this," Romanov says. "These problems will multiply in the future, so we need to start addressing this today." Russia's environment ministry said in a report this year that deterioration of permafrost poses many risks to people and nature. Mikhail Grigoryev, deputy director of the Permafrost Institute, says so far the warming is "not critical" locally but could endanger the city if it continues over decades. He is most concerned about permafrost's southernmost boundary, in areas such as oil-rich western Siberia. There, permafrost is not as cold, consistent or thick, and warming can "lead to the deformation of buildings, to disasters". "Nothing that was built on permafrost was built with the expectation that it would melt," Grigoryev says. "We must prepare for the worst." 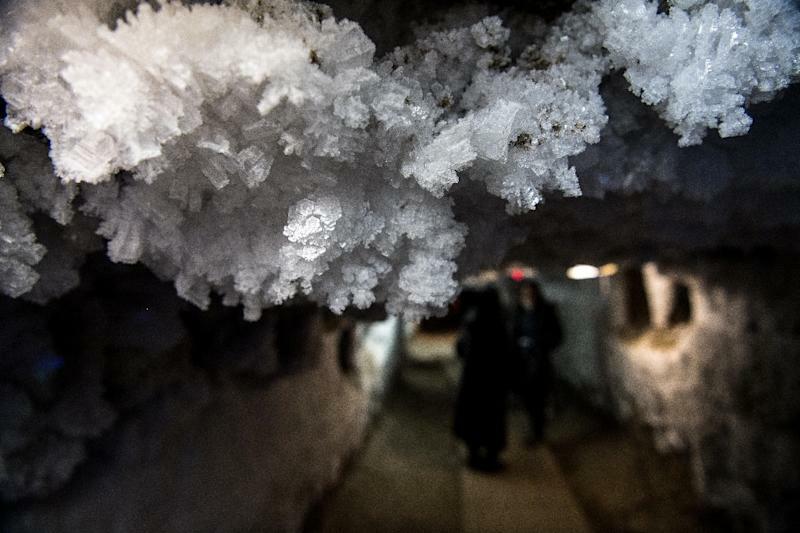 In the Permafrost Institute's underground labs -- a network of ice-covered tunnels and rooms dug in the permafrost -- scientists and engineers develop improved construction techniques and ways to keep the ground frozen as the atmosphere warms. Yet the technology is costly and its use in construction is not required by the law, which has not adapted to the warming climate, says a lawmaker in Yakutia's regional parliament, Vladimir Prokopyev. Melting permafrost accelerates erosion of Russia's Arctic coast, and Yakutia is losing about two metres of coastline every year, he said. "We need a national law if we want to conserve permafrost and prevent serious harm to the environment of the Russian North and Siberia," he says.